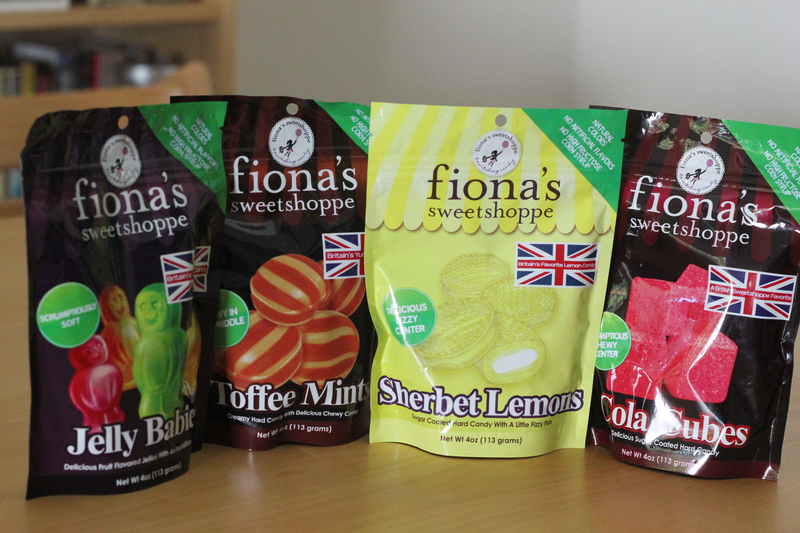 Have you heard of Fiona’s Sweetshoppe? They do a line of imported candy from the U.K. in the U.S. My husband got a few different types for his birthday and I’m excited to try it – particularly the sherbet lemons, which I’ve never tried, but sounds so very Harry Pottery, I can’t wait. What’s your favorite British candy? Posted on 6, November 2014, in Food and tagged British, candy, cola cubes, Fiona's Sweetshop, Harry Potter, Jelly Babies, sherbet lemons, sweets, Toffee mints. Bookmark the permalink. 7 Comments. Oh I must try these. My favorite British candy in Rowntree Fruit Pastilles…thanks for asking! Love fruit pastilles and fruit gums! Brings back memories! Uh-oh: I see Fiona’s do a version of Jelly Babies. I will investigate!! Be forewarned! They are great – almost ate the whole lot in one sitting!